Infrastructures are conspicuous for their opacity. They merge into the fabric of the built environment and seem to disappear once they work reliably. They become visible only to experts who build and maintain them, or when they break down. For the rest of us, an infrastructure is embedded in our daily practices, enabling us to do other things. As Geoffrey Bowker and colleagues phrased it, infrastructures are “pervasive enabling resources in network form” (2010: 98). The obscurity of infrastructure is especially worthy of attention and analysis when we talk about networks that are not as easy to identify as roads, water pipes or electric cables. In the context of datafication and smart cities, we also need to look at infrastructures that shape our understanding and potentials to interact with the social, political and economic world around us. In a paper recently published open access in Big Data & Society, I collaborated with Gabriel Pereira, Lasse Verstergaard and Martin Brynskov from Aarhus University to conceptualize one particular element of network infrastructures in smart cities – application programming interfaces or APIs. In what we term ‘CityAPIs’, different strands of research and criticism are merged to highlight that an object such as an API is far from stable and is subject to different kinds of contestations. Most basically, an API simply regulates what kind of data or function is available from a host (e.g. a server). It defines data types and ways to query them. An API is mostly not visible to an end user but regulates traffic between computers or applications. Our interest in APIs is connected to the idea that datafication in smart cities creates new ways of ‘seamless integration’ between different data sources. But beyond the buzzword, this seamlessness is the result of massive integration efforts on the social, technological and political levels of cities. Defining how an API makes certain data available is thus a political question that drives the design and implementation of new infrastructures – from traffic and weather monitoring to social and mobile media applications. In the article we particularly discuss three perspectives on City APIs, which cover the fields of criticism, design and implementation. Criticism of Proprietary APIs such as social media APIs has foregrounded how certain business models are hardwired into the design and governance of APIs. Using the Twitter Streaming API for research purposes, for example, is possible with some constraint, but not intended by the providers of the API. In this perspective, APIs appear as ‘protocological objects’, to quote Bucher (2013), that regulate data exchanges but also practices of programmers and users. The design challenges for APIs are addressed in the second part, highlighting that affordances of APIs are negotiated between API producers and API consumers. Creating an API needs to take into account what resources a computer system can offer to an API consumer, and how these are understood. Revealing the ‘intent’ of an API needs to anticipate use cases and disclose in a consistent fashion how particular kinds of data can be queried. How APIs intersect with urban innovation initiatives, local governance structures and use-based challenges is the subject of the third part. We present analyses of two projects, City SDK and OrganiCity, to highlight that the technological challenge of designing APIs is overshadowed by political and economic considerations about the future uses of social urban data, their governance and transparency, and the potential for citizens to interact with such new infrastructures. Although this discussion of CityAPIs may seem to be a fairly technical matter, the article highlights that such elements reveal the social, political and economical contestations about digital urban transitions. APIs can be envisioned and designed for many different kinds of seams, their weaving of data into the urban fabric is not limited to improved public service delivery or proprietary business models for big data analytics. They rather challenge us to acknowledge and interrogate the pervasive influence of certain infrastructures on the way we understand and interact with the world around us. Raetzsch, Christoph; Pereira, Gabriel; Vestergaard, Lasse S; Brynskov, Martin (2019). “Weaving Seams with Data: Conceptualizing City APIs as Elements of Infrastructures.” Big Data & Society 6(1). https://dx.doi.org/10.1177/2053951719827619. Preparing the Ground for Infrastructure Studies: Star, Susan Leigh; Ruhleder, Karen (1996). “Steps Toward an Ecology of Infrastructure: Design and Access for Large Information Spaces.” Information Systems Research 7(1): 111-134. https://dx.doi.org/10.1287/isre.7.1.111. Bowker, Geoffrey C.; Baker, Karen; Millerand, Florence; Ribes, David. (2010). “Toward Information Infrastructure Studies: Ways of Knowing in a Networked Environment.” International Handbook of Internet Research, edited by Jeremy Hunsinger; Lisbeth Klastrup; Matthew Allen, 97-117. Dordrecht: Springer. https://dx.doi.org/10.1007/978-1-4020-9789-8_5. APIs as Protocological Objects: Bucher, Taina (2013). “Objects of Intense Feeling: The Case of the Twitter API.” Computational Culture. A Journal of Software Studies 3. http://computationalculture.net/objects-of-intense-feeling-the-case-of-the-twitter-api/. Mapping the data economy: Bechmann, Anja (2013). “Internet Profiling: The Economy of Data Intraoperability on Facebook and Google.” MedieKultur 29(55): 72-91. https://dx.doi.org/10.7146/mediekultur.v29i55.8070. Platforms as Infrastructures (and vice versa): Plantin, Jean-Christophe; Lagoze, Carl; Edwards, Paul N; Sandvig, Christian (2018). “Infrastructure Studies Meet Platform Studies in the Age of Google and Facebook.” New Media & Society 20(1): 293-310. https://dx.doi.org/10.1177/1461444816661553. Platform Instances and the Mobile Ecosystem: Nieborg, David B; Helmond, Anne (2018). “The Political Economy of Facebook’s Platformization in the Mobile Ecosystem: Facebook Messenger as a Platform Instance.” Media, Culture & Society 41(2): 196-218. https://dx.doi.org/10.1177/0163443718818384. Learning with APIs: Mackenzie, Adrian (2018). “From API to AI: Platforms and Their Opacities.” Information, Communication & Society (online first). https://dx.doi.org/10.1080/1369118X.2018.1476569. API Deconstruct as Critical Practice: Snodgrass, Eric; Soon, Winnie (2019). “API Practices and Paradigms: Exploring the Protocological Parameters of APIs as Key Facilitators of Sociotechnical Forms of Exchange.” First Monday 24(2). https://firstmonday.org/ojs/index.php/fm/article/view/9553. From Street Computing to Intervention: Robinson, Ricky; Rittenbruch, Markus; Foth, Marcus; Filonik, Daniel; Viller, Stephen (2012). “Street Computing: Towards an Integrated Open Data Application Programming Interface (API) for Cities.” Journal of Urban Technology 19(2): 1-23. https://dx.doi.org/10.1080/10630732.2012.698064. The Citizen in the Digital City: Foth, Marcus; Brynskov, Martin; Ojala, Timo (eds.) (2015). Citizen’s Right to the Digital City: Urban Interfaces, Activism, and Placemaking. Wiesbaden: Springer. Methods for Participating in the Digital City: Dezuanni, Michael; Foth, Marcus; Mallan, Kerry; Hughes, Hilary (eds.) (2018). Digital Participation Through Social Living Labs: Valuing Local Knowledge, Enhancing Engagement. Amsterdam: Chandos Publishing. Analyze and Actuate Data: See these projects and methods/ tool innovations for visualizing urban data at Urban Complexity Lab (Potsdam, DE): https://uclab.fh-potsdam.de/projects/visualizing-cities/. Design for Data in Context: Moere, Andrew Van de; Hill, Dan (2012). “Designing for the Situated and Public Visualization of Urban Data.” Journal of Urban Technology 19(2): 25-46. https://dx.doi.org/10.1080/10630732.2012.698065. Social Urban Data: Psyllidis, Achilleas (2016). “Revisiting Urban Dynamics Through Social Urban Data. Methods and Tools for Data Integration, Visualization, and Exploratory Analysis to Understand the Spatiotemporal Dynamics of Human Activity in Cities.” A+BE: Architecture and the Built Environment 6(18): 1-334. https://dx.doi.org/10.7480/abe.2016.18. Shifting Urban Data Tectonics: Shelton, Taylor (2017). “The Urban Geographical Imagination in the Age of Big Data.” Big Data & Society 4(1). https://dx.doi.org/10.1177/2053951716665129. Data and Space: Dalton, Craig M; Taylor, Linnet; Thatcher (alphabetical), Jim (2016). “Critical Data Studies: A Dialog on Data and Space.” Big Data & Society 3(1). https://dx.doi.org/10.1177/2053951716648346. Imaginaries of the Urban Data Space: Hoelzl, Ingrid; Marie, Rémi (2016). “Brave New City: The Image in the Urban Data-Space.” Visual Communication 15(3): 371-391. https://dx.doi.org/10.1177/1470357216642638. Command of the Land is Command of Data: Graham, Stephen D.N. (2016). “Software-Sorted Geographies.” Progress in Human Geography 29(5): 562-580. https://dx.doi.org/10.1191/0309132505ph568oa. Governing the Pulse of the City: Coletta, Claudio; Kitchin, Rob (2017). “Algorhythmic Governance: Regulating the ‘Heartbeat’ of a City Using the Internet of Things.” Big Data & Society 4(2). https://dx.doi.org/10.1177/2053951717742418. Summary of the above study in English: Cuno, Silke; Bruns, Lina; Tcholtchev, Nikolay; Lämmel, Philipp; Schieferdecker, Ina (2019). “Data Governance and Sovereignty in Urban Data Spaces Based on Standardized ICT Reference Architectures.” Data 4(1): 16. https://dx.doi.org/10.3390/data4010016. Cities may be the most complex systems to manage because everyone has an opinion on how to do it best. And many options are always on the table. Instead of dismissing the ones and favoring the others, experimentation promises to provide a structured method of innovation where a large part of stakeholders can get their say, reveal their perception of a problem and commonly work towards a solution. The motto is to experiment locally, involve as many and see where the journey can link you up to other cities and their best practices. But you need to have a set of engagement principles in place to build trust in the process. This paper presents findings from two projects where experimentation was developed into a viable method of citizen-centric innovation – Dampbusters using the Bristol approach and OrganiCity in Aarhus, London and Santander, building an Experimentation-as-a-Service platform across cities through co-creation. As a central outcome, the paper concludes that experimentation as an approach to innovation is most sustainable, when it has lateral effects: Besides the gains and insights of individual projects, experimentation-as-a-service needs to contribute to an institutional framework within city governance to support new forms of civic and technological capacity building. Start with the OrganiCity playbook and sketch your journey. The article was part of a special issue on “Urban Informatics: Decoding Urban Complexities Through Data-Sciences”, edited by Nimish Biloria for Smart and Sustainable Built Environment and appeared in 2018. The purpose of this paper is to discuss how experimentation with open Internet of Things data can be institutionalised in an inclusive manner at scale. The approach is conceptual, addressing key challenges discussed in the literature on experimental cities. This exposition of the problem of scaling experimentation is anchored in findings from two projects (Dampbusters and OrganiCity), which seek to implement experimentation as a practice of sustainable digital urban development. One central finding is that local interventions need transferable frameworks and mechanisms to achieve scaling effects of experimentation as a practice. In addition, experimentation must embed common engagement principles, structures of data and interfaces, and governance principles across use cases to be scaled. The authors outline how and why experimentation can be a useful approach to address challenges of implementing urban informatics into concrete uses and procedures for co-creation. Based on reports from two projects, the authors develop recommendations for experimentation at scale that reflect the need for engagement principles, the need for common data structures and interfaces, as well as governance principles. Brynskov, Martin; Heijnen, Adriënne; Balestrini, Mara; Raetzsch, Christoph (2018). “Experimentation at Scale: Challenges for Making Urban Informatics Work.” Special Issue on “Urban Informatics: Decoding Urban Complexities Through Data-Sciences” (edited by Nimish Biloria). Smart and Sustainable Built Environment 7(1): 150-163. https://dx.doi.org/10.1108/SASBE-10-2017-0054. The fatal mistake we have been making is to sacrifice every other form of transportation to the private motorcar—and to offer, as the only long-distance alternative, the airplane. But the fact is that each type of transportation has its special use; and a good transportation policy must seek to improve each type and make the most of it. This cannot be achieved by aiming at high speed or continuous flow alone. If you wish casual opportunities for meeting you neighbors, and for profiting by chance contacts with acquaintances and colleagues, a stroll at two miles an hour in a concentrated area, free from vehicles, will alone meet your need. In December 2017, Martin Brynskov and me published a collaborative and exploratory piece on communicative objects. The prompt was a special issue of the Brazilian open access journal Parágrafo, managed and edited by Rafael Grohmann, on “Boundaries of Journalism” (including – inter alia – contributions by Alice Mattoni, Nikki Usher and Rodney Benson). In our article, we address the complexity of a public issue like the bike-friendly city and the various sources of data and media we, as journalism and media scholars, can access to understand processes of public contention. Based on the case study of #Radentscheid in Berlin, we offer a basic contextual framing of communicative objects and develop a typology of such objects. A cornerstone of our article is a discussion of the methodological challenges when investigating public issues through communicative objects, which transgress established disciplinary boundaries and explanatory schemes because they are situated in overlapping social, medial and political contexts. This paper addresses the boundaries of journalism through a perspective of communicative objects. Introduced as a heuristic concept, communicative objects focus attention on the processes and practices of meaning-making inside and outside publics as much as addressing the materiality of these processes that take place in digital and networked media. As more and more platforms and services are developed to involve actors in different socio-cultural settings in forms of public communication, the concept of the communicative object accentuates the materiality and epistemologies of these settings. The article builds on the case study of a citizen’s initiative for a bike-friendly city in Berlin (Germany) to outline methodological inroads and theoretical implications of the communicative object. The aim is to problematize rather than resolve tensions between everyday usage of media technologies, journalistic professional expertise and the practices of meaning-making that exist and evolve outside of journalism. 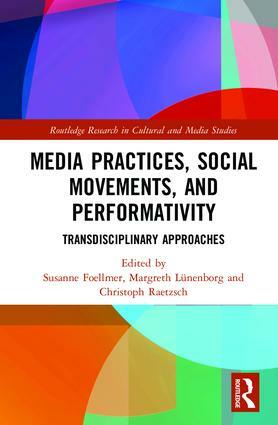 Through the concept we also address new epistemological challenges of analyzing digital media, which emerge as a result of new interaction potentials of communicative objects which we cannot capture in a document-oriented research methodology. Horizon: The line at which the earth’s surface and the sky appear to meet. Horizon: The circular boundary of the part of the earth’s surface visible from a particular point, ignoring irregularities and obstructions. Horizon: A great circle of the celestial sphere, the plane of which passes through the centre of the earth and is parallel to that of the apparent horizon of a place. Horizon: The limit of a person’s knowledge, experience, or interest. All images taken at Aarhus coast, at and around Moesgaard beach. Feel free to reuse under Attribution 4.0 International (CC BY 4.0) . Credit: Christoph Raetzsch (2018).